A gorgeous day, beautiful weather, a happy bride and an emotionally overjoyed groom. These are the things that make for an incredible wedding and, in turn, amazingly beautiful wedding photos. 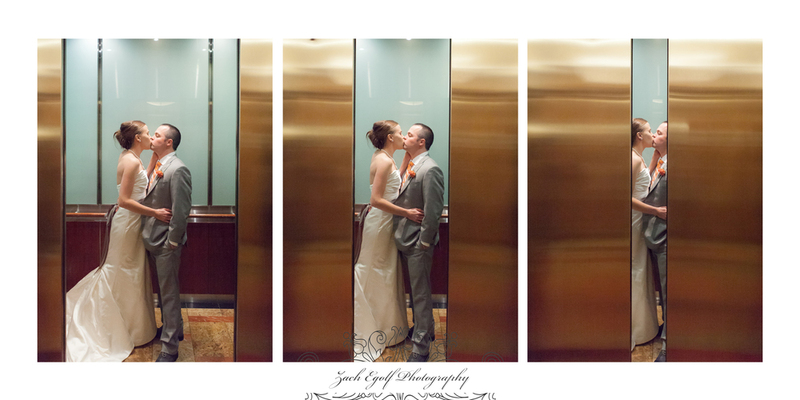 These are also the things that made Andrew and Aimee's wedding a joy to photograph. I've been truly blessed to have amazing couples to shoot this year, and this trend continued with Aimee and Andrew's wedding. Continue through the jump to see more of the preview. As you can tell from the lead-in photo, Jamie and Steve's wedding was a TON of fun. I also have to say that Jamie might take the award for "Most prepared bride...ever". Super on-the-ball and prepapred, Jamie and Steve were ready for any obstacle they might have faced on their wedding day; a great preparation for those curveballs they'll be thrown in the many years of married, happy bliss. Shooting these two was a real treat, and I'm really happy to be providing a small preview of their photos! When I first met with Heather and Tom to shoot their engagement photos, I could tell they were going to be a hoot. A reception in an Entertainment Museum...are you serious?! Probably one of the cooler venues I've had the chance to be in, whether as a wedding guest or photographer, and Heather and Tom's guests and family really put the "entertainment" in "Geppi's Entertainment Museum". While I work on the rest of their photos, I hope that they enjoy this small preview as much as I enjoyed shooting their wedding!